We have all seen those terribly unfortunate stories on the news; “flood destroys a lower level rental unit. Unfortunately, the tenants did not have insurance and lost everything”. It’s a real heart-wrenching situation that plays out in the news far too often. Fortunately, there are options for people that are in rental situations that are extremely affordable now and will protect them from the unpredictable weather or those catastrophic plumbing failures. Renters insurance is easily accessible nearly everywhere from around $15 per month, and this sort of policy will cover everything in your rental suite from stereo equipment to bicycles to that gargantuan flat-screen television. However, never assume that since you rent a space in someone’s home, that your belongings are protected under their policy. 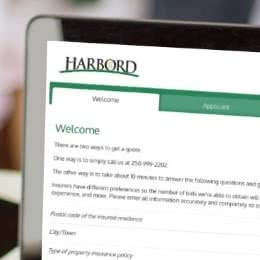 Would you like to learn more about Tenant Insurance? Doesn’t the Home Owner’s Policy Cover My Ground Level Rental? The answer is no. As a renter, you must never assume that there is coverage based on the fact that the homeowner carries a house insurance policy of their own. If something was to happen in the rental suite by accident or otherwise, the insurer may turn around and declare the policy void since they may not have been notified of the secondary dwelling. Everything needs to be declared and documented in order for there to be coverage. Never give your insurer an opportunity to challenge your claim. There are equally tragic scenarios for homeowners who may take it upon themselves to quickly develop a livable ground rental property in their home, only to be financially devastated when they attempt to file a claim against a flood or fire that originated in this ‘new’ residence. They made an effort to fly under the radar with this new rental revenue and ended up paying dearly. The homeowner MUST notify and declare any additional suites in their home. Basement apartments offer an attractive revenue potential, however, they attract their own level of risk which might seem obvious, yet often catch homeowners off guard. Basement suites are literally renovated basements which may be partially located below ground level. They are extremely susceptible to water and flood damage as most will have had their drains covered by the updated flooring. Older buildings may not have the same level of foundation coating on the outside of the house which can let in moisture through the concrete that is porous by nature. Storms can damage recessed windows causing flood damage; ruptured pipes can result in pooling water in the basement with nowhere to drain. Any new living situation requires some manner of insurance confirmation. Get it in writing ‘before’ you move in. If the homeowner seems resistant to investigating their policy, it’s highly likely the suite is illegal and not compliant to building safety codes. You should most certainly avoid these situations at all cost. We hope this was informative and will help you protect your new rental property, or as a renter, give you enough information to research and protect yourself and your belongings. Do you have more questions? We’d be happy to hear them.